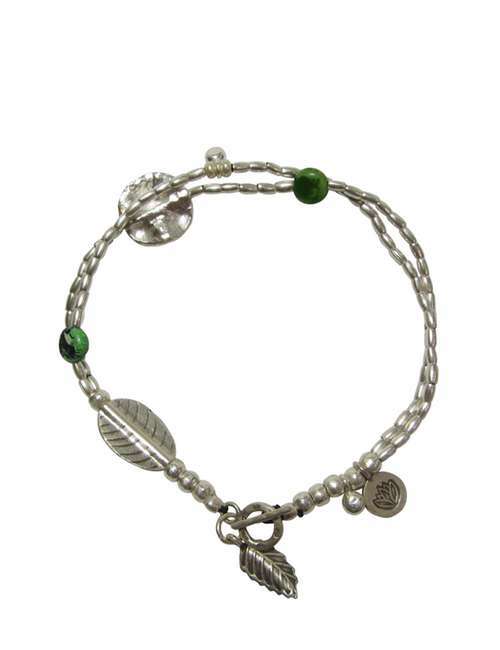 This doubled up style anklet is perfect to give that layering affect. 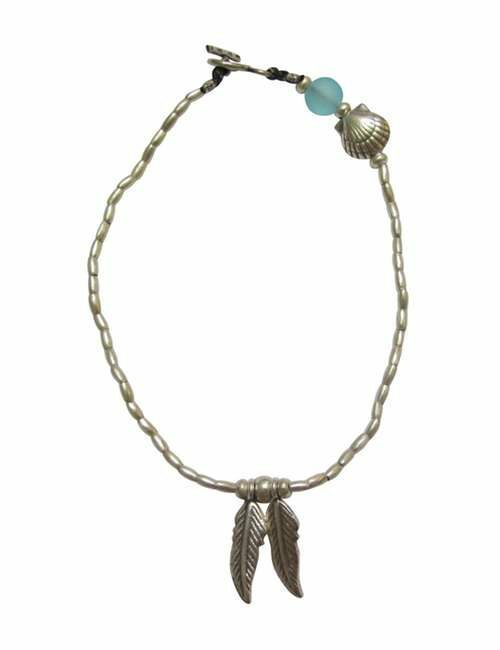 The Lotus Love Double anklet features 2 sterling silver strands which gather into a toggle clasp connection with large leaf tassel. The layers combine green grass turquoise stones with a large flat silver disc, leaf and lotus flower pendant. Dress up a bikini or any outfit with effortless style which is sure to become a summer fav, I know I feel naked without my anklets.